Okay the bananas song…..just a glimpse of how my mind works. I think of fruits of the spirit and a little jiggle comes into my head. “This beat is bananas, B-A-N-A-N-A-S…” I have no idea how the rest of the song goes. I only know that it is Gwen Stefani singing it. In Matthew chapter 7, we are told we will be known by our fruit. That a good tree will bear good fruit, a bad tree will bear bad fruit. Then, Jesus tells us that not all who call upon Him will enter Heaven. He may very well say ” I do not know you”. Beware of false prophets, who come to you in sheep’s clothing, but inwardly they are ravenous wolves. 16 You will know them by their fruits. Do men gather grapes from thornbushes or figs from thistles? 17 Even so, every good tree bears good fruit, but a bad tree bears bad fruit. 18 A good tree cannot bear bad fruit, nor can a bad tree bear good fruit.19 Every tree that does not bear good fruit is cut down and thrown into the fire. 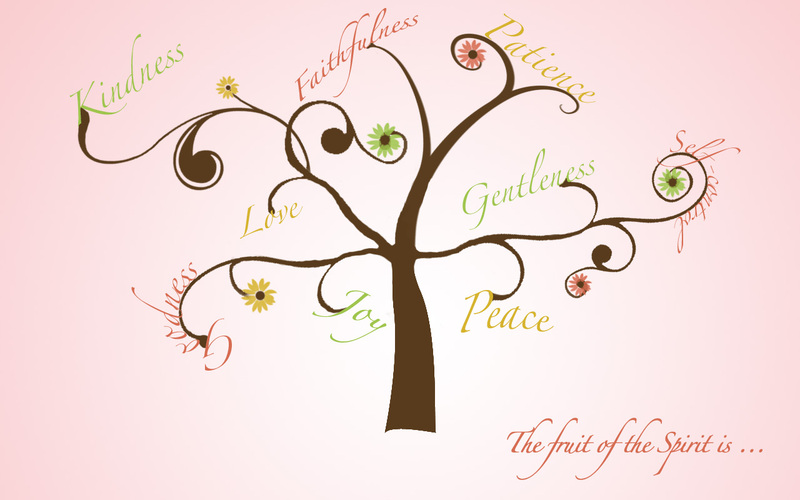 20 Therefore by their fruits you will know them. I guess I always took this to mean all things should be done with love. Spread a little Love and the seeds are planted. You will bear good fruit. I got this! What I feel God has laid before me is more than Love…no maybe what love truly looks like..yes, I like that better. I am going to tell you now, something clicked in my head that made me fear!!! All I could think was “I am not known for any of these, let alone all of them Oh Dear Lord, I need grace!! Please know me!” I was going through the list one by one…1. love, maybe; 2. joy, possibly, I mean it is my middle name; 3.peace, no way; 4. patience, can I just stop here? ; 5. kindness, I am kind of; 6. goodness, no one is truly good; 7. faithfulness, I got this one, loyalty and faithfulness come pretty easy for me; 8. gentleness, uh-oh; 9. self-control, I am in trouble. Another click, I can’t be all those things, but God naturally is…….if these things are not showing through me then the Holy Spirit is not dwelling in me. Emphasis on the dwelling. I get a visual of comfort. I don’t want the Holy Spirit to sit on the edge of a chair in the parlor. I want to be intimate, for the Holy Spirit to chill on the sofa in sweats. Another thought, you know how at a close friends house you will open their fridge and look for something to drink. I want the Holy Spirit to open my fridge!!! For the invitation to be understood, inferred, implied….not a formal one in the mail. This is a lesson I needed to learn clearly as we proceed on this journey into the mission field. Who knows maybe this will help some one reading this post as well. All I know is that I feel better. It’s My Party and I’ll Cry if I Want To….